K. Although I regularly went to a mainstream commercial gym I was not achieving any noticeable results. My hours at the gym, combined with some running, was helping me to attain a level of cardio fitness, but my body showed no noticeable change. I was never overweight but I carried a large amount of belly fat which no amount of exercise or dieting had shifted. I decided I needed the discipline of a one to one trainer to set me on the right track along with guidance as I had never done any weights before and had always assumed weights were for body-builders. 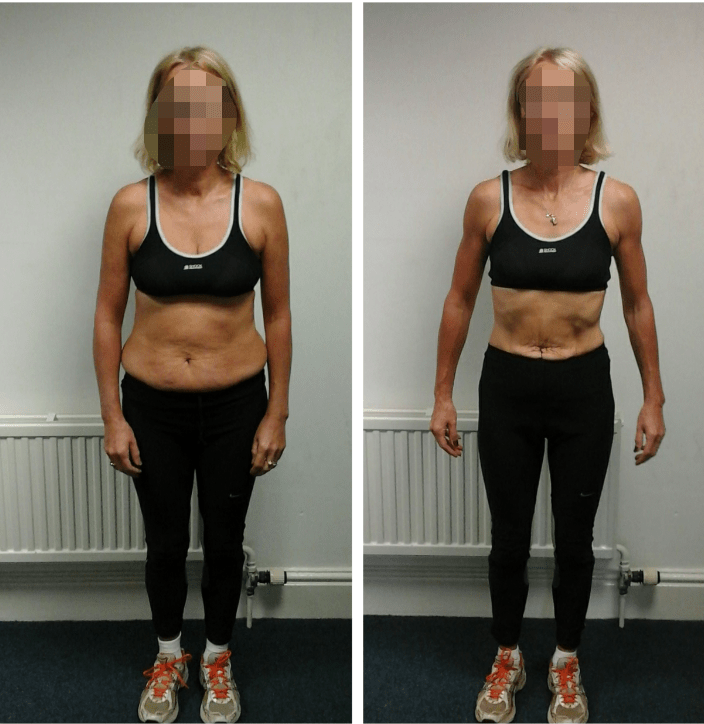 I. I was intrigued to see whether a weights based training regime could make any difference to my physique as I had started to do a fair amount of running but was not seeing any change to my fat/muscle tone albeit I felt fitter and healthier. I also needed the discipline of having to be at the gym at a set time for an appointment because otherwise it would always have been too easy to make an excuse to miss a session due to being busy or tired. CMP offered a convenient location, early starts and good facilities including shower and parking so it was easy to do my sessions en-route to work. K. Firstly I have got rid of most of my excess body fat. My aim was to move from a size 12 to a nice size 10, but I soon passed this and am now down to a size 8. Unfortunately most of my clothes no longer fit but that is a price worth paying! Not only have I lost weight but my body is stronger and more toned. I. I have lost most of my spare fat and about 1 stone in weight. Just as importantly I now have some muscle tone which I haven’t seen for 25 years! I have also learnt more about my diet and discovered that I can still enjoy plenty of good food whilst doing the training. K I am far more confident with my body shape and don’t dread going on the beach in a bikini. I have realised I can achieve and maintain results in a much shorter time period with more focused training than the years I have spent in regular gyms following the crowd. I I feel I have a lot more energy than I used to have and I also feel inspired to keep up the combination of training and nutrition since I have maintained my weight and fat loss for some time after the initial 12 week programme. Our CMP trainer, Matt, gives us dedicated attention and a varied and interesting programme. The work outs are challenging but not daunting and are tailored specifically for each of us to help us achieve our individual goals. Another reason is that because this is a private gym, there is no time-wasting waiting for machines and sessions are easy to arrange around a busy working week as CMP only takes in a limited number of clients at a time. Also we received good advice on our diet to complement the exercises sessions. 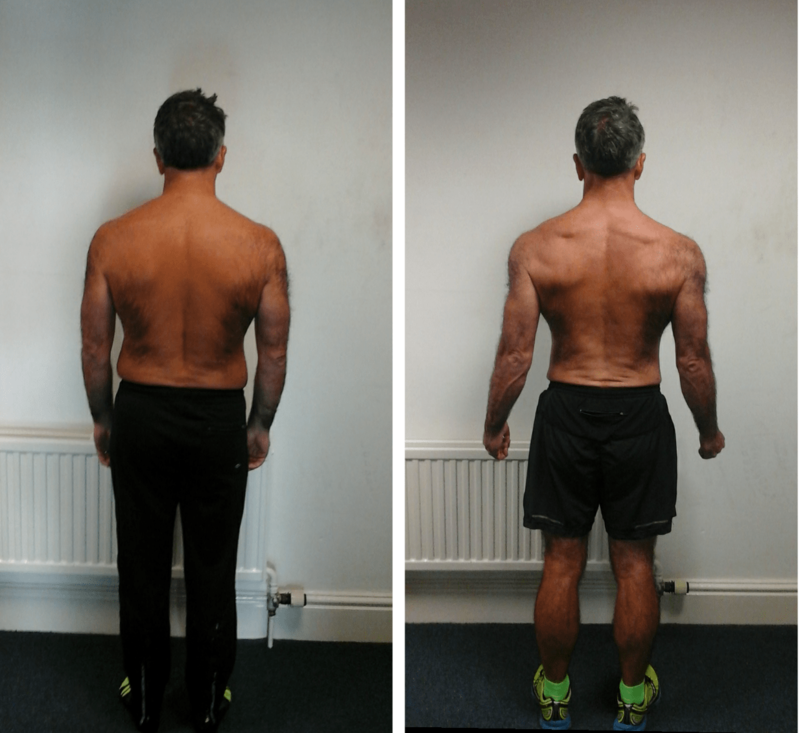 Another set of fantastic results and feedback from our happy clients transforming their lives.